When selling your home Sue Saunders, Director at Saunders & Lingard, has some great advice for her clients to consider… is it cosy, clean and clutter free? COSY – Is the heating on? have the cushions been pumped up on the settee? are the curtains matching and nicely tidied? Does your home smell inviting, yes the old bread trick or some freshly brewed coffee or warming spices? Bright fresh flowers, but definitely not too many artificial air fresheners! CLEAN – Is the kitchen and bathroom gleaming? A little bleach and rubber gloves go a long way. No dirty clothes or smelly towels. Remove bins. Remember the garden is part of your home. Paint walls, clean sheds out and weed gardens. Don`t forget to clean the windows. If there are pets remember their beds need washing or even better, temporarily removing before a viewing. CLUTTER FREE – Make your home as minimalistic as possible, make it look/feel bigger. Encourage cupboards to be opened by a viewer, so ensure everything is tidied away neatly. Children`s toys all in one area neatly boxed, and studies with paperwork stacked away. Don`t forget the garden again, these needs attention too. 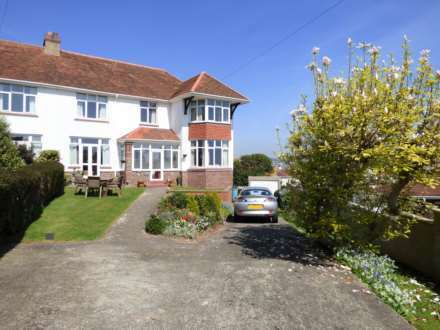 This gorgeous home we have for sale in Churston Ferrers inviting OIEO £325,000 is the perfect example of a vendor who embraces cosy, clean and clutter free. 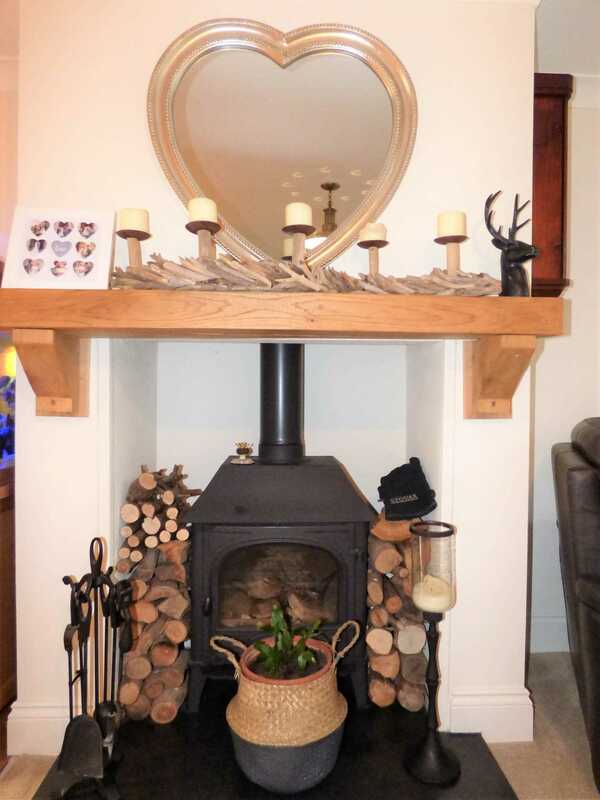 (pic of Ferrers fireplace) and understands that home is where the hearth is! Prior to marketing the front garden of the property was thoroughly tidied, shrubs clipped, paths swept, and leaves cleared. Fresh paint on the gate and front door making it a welcoming sight for prospective viewers. On stepping into the front door for the first time the owner had prepared the property for me to see their home in its best possible light. The removal of shoes was the first signal that this was a well-cared for home. The heating was on as were the lights, fresh flowers in the dining area. And the interior was all clutter free surfaces. The kitchen was sparkling with no dirty cups or plates and no yesterday meal smells. The bathroom had the window slightly ajar and fresh towels on the heated ladder rail, again no nasty smells. The bedrooms had matching freshly laundered bedding. To top it all off, subtle accent furnishings plus the fireplace and wood burner embrace the cosy theme of this contemporary cottage`s wonderful internal living space. The rear garden had also been tidied, decking cleaned, and the car neatly parked inside the large double garage, leaving ample space for visitors. The first impression on seeing a property for the first time is so important. If you are considering selling or currently on the market seriously consider our Cosy, Clean & Clutter free approach. It`s all in the presentation. For a chat about how they can assist you in selling your home, please call Sue and the team at Saunders & Lingard on 01803 611420, or Rob Lingard on 01626 240229.